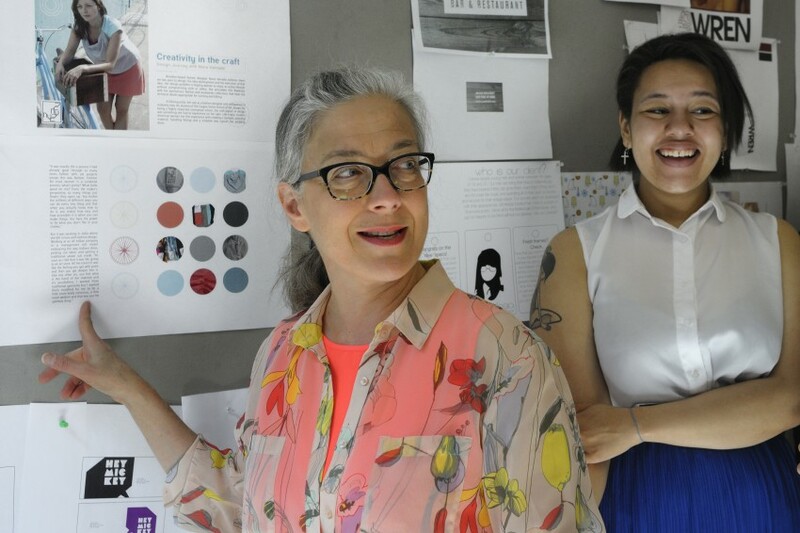 AAS Graphic Design Professor Julia Gorton has been highlighted in The Art Career Project as one of 15 Notable Art Professors currently teaching in New York City. It shouldn’t surprise anyone to see that Parsons has more than one professor on this list. After all, it was one of the most famous design schools across the country and has produced more than its fair share of incredibly talented designers and artists. Julia Gorton is not only one of those talented alumni, she has also been teaching in the Communication Design department at Parsons for more than 20 years. A freelancer designer and illustrator since the 1980s, Gorton specializes in illustration and design for children’s books and has an impressive list of titles she has worked on. As professor, Gorton not only teaches graphic design but also encourages her students to use their work to benefit surrounding communities. Students love taking her classes because they say she genuinely cares about the improvement of her students and she is more than willing to stay and help any student who needs it. Her projects are difficult, but fun and engaging, and students say her high expectations help bring the best out in them.